You are here: Home / Disability Issues / Depression / Frugality for Depressives is out! Frugality for Depressives is out! 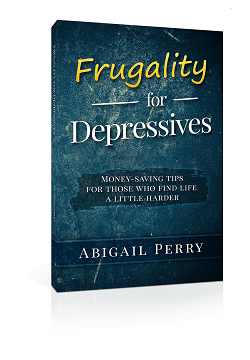 Frugality for Depressives is now available in both e-book and paperback! Well, I suppose it’s pretty obvious. I wrote this book for the same reason I started this blog: There wasn’t anything else like it out there. Special populations, including the disabled and the mentally ill, are overlooked in most aspects of life. 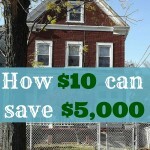 Personal finance advice is no exception. 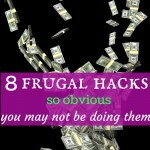 I’m not denigrating regular personal finance blogs. They have great advice… for healthy people. But a lot of that advice can be frustratingly unattainable for people who struggle with depression. And when we fail to meet expectations — ours or others’ — we fall into deep misery and self-recrimination. Frankly, it really eats up our days. So, I realized, there needed to be a book out there that was specifically geared toward depressives. Something that takes into account bad spells and common depression foibles that keep us off our game (financial and otherwise). 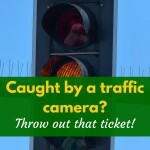 Something that provided modified money-saving tips. 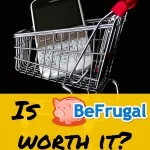 Something that emphasizes that imperfect frugality is still frugality. Preferably, it’d also stress that depression is an illness and should be taken seriously. And since no one else seemed inclined to do it… Well, I figured it was up to me. I tried to attack hacks from various angles. Coping ability varies from person to person (and sometimes day to day). 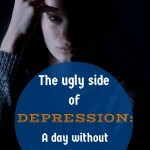 So there are few hacks that have one simple answer that will apply to all depressives. I also have a chapter with the rather self-explanatory title “Depressive symptoms and how to frugal around them.” If you can’t leave the house, it doesn’t matter whether you know how to hit grocery sales. So you need to know how to best save money when the bad spells hit. 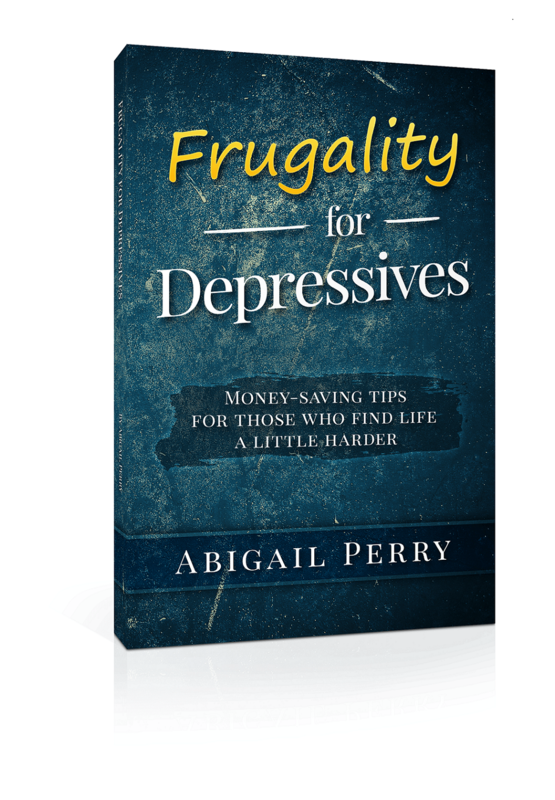 Despite its title, Frugality for Depressives isn’t just for people who are depressed. The tips can help people with chronic illnesses, since they also encounter a lot of barriers to a pure form of frugality. Honestly, I think this book can even help people whose lives are simply relentlessly busy. Really, I think this book can help anyone who wants to save money but is intimidated by the sometimes exacting standards of classic frugality. On Amazon, as a physical or e-book. On the Barnes & Noble website* as an e-book. The e-books are $7.99, and the physical version is $9.49. Abby, I found your blog through your mother’s site, and have been reading it for years now. Glad to see your book is now available in paperback – I’ve just purchased a copy via Amazon. Please keep writing! Your intelligence, strength, humor, and humanity are inspiring. Thank you so much for reading me all these years. And of course, for buying my book! A lot of times you read PF blogs and the bloggers they DIY everything, cook every meal from scratch, have coupon binders, shop all the sales, make price books, etc. I’m so glad you enjoyed it, and thank you for leaving such a great review on Amazon! Congrats on having your paperback out as well as the ebook now! I think it’s awesome that you’re meeting a real need and creating unique content. Kalie @ Pretend to Be Poor recently posted…Have You Planned For Your Funeral? Congrats again, and thanks for choosing to have a physical version published. Hey, whatever helps people get the book, right? Hope the winner of your contest enjoys it! This looks really great. I’m really glad that this book exists. I write my blog focusing on personal finance for LGBT people for many of the same reasons that you write for people with disabilities. The larger world’s solutions don’t always apply to us. That’s a very unique perspective — at least in the PF blogosphere. I’ll be interested to see the differences that apply. I’m sure there are plenty of things I haven’t thought of. And thanks for tweeting about the book, by the way! I’ll be sharing your book and blog all over. If I can read it fast enough, I’ll do a review, too, if you don’t mind. There’s always something we haven’t thought of. I would LOVE that, thank you! Please consider also leaving a review on Amazon. The more I get, the better chance I have of appearing in the suggestions. Understood. As soon as I can afford the time and the cost, I’m there. And here. And on Amazon. Just stumbled on your blog via a Google search and found the post where you skipped your medicine for >40 hrs. I had a rough day today from forgetting my SSRI yesterday, and so it was just very comforting and validating to read of your experience (post was in 2011). And, I just bought your finance book for kindle! 🙂 Thanks! Thank you so much for your kind words. I hate looking that post over (eep, vulnerable and ugly stuff) but it does seem to have helped people. So that makes it worthwhile. And thank you for buying my book! I really hope it helps.